Fresh coffee at the Grainstore Brewery: Two Chimps Invade. Serving a combination of excellent drinks in their brewery tap, locally sourced food in their restaurant and rocking bands and comedians for event nights, the Grainstore Brewery offer it all. They even brew award-winning beer on site. In addition, they now serve locally roasted, fresh coffee too – ohh yeah! Situated next to the station in Oakham, the Grainstore Brewery opened its doors in September 1995. It is now recognised as one of the best brewing pubs in Britain – high five guys. Their on-site micro-brewery takes up two out of the three stories in this old Victorian building, and they supply hundreds of free houses nationwide. If brewing is up your street, then you can book a brewery tour for you and your friends too. At the downstairs brewery tap, you will always receive a warm welcome from the staff who can tell you everything you need to know about the beers they brew, the cider they serve and now, the locally roasted coffee they offer. 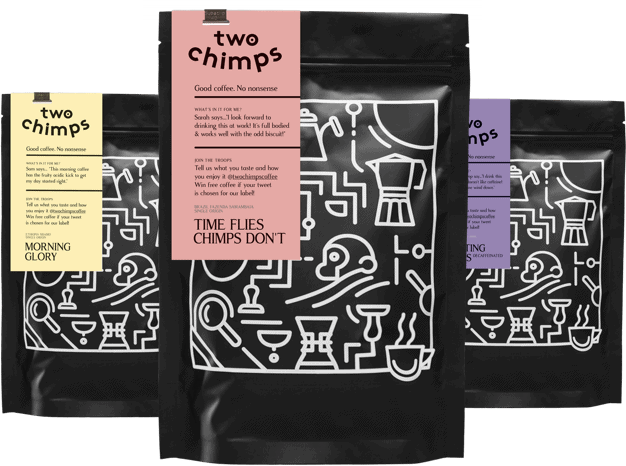 That’s right… Two Chimps Coffee has entered the building! At weekends you can enjoy a bottomless cup of freshly brewed filter coffee with breakfast. Sounds like heaven to us! Their filter coffee is a single origin, sweet and creamy coffee which we roast each week and grind to order. This ensures that you always drink the nicest cup of fresh coffee at the Grainstore Brewery. During the week, the staff will be happy to make you the drink of your choice on their Espresso machine. Both of their speciality coffees are ethically sourced and jam-packed with natural sweetness and great flavours. Feel free to have a chat to the staff about the coffee you are drinking; they will tell you the farm where it was grown, how it has been processed and, well, anything else you want know. Don’t just take our word for it though, go for breakfast, lunch, dinner, or just because and try some fresh coffee at the Grainstore Brewery.